Against the backdrop of genetics and environmental hazards like infections and toxins, we become ill as a function of our character. Before you leap to a valid logical criticism of my claim-essentially that we are sick through our own fault- let me assure you that many of the most tragic illnesses are certainly not the fault of the patient: childhood cancers and the sequellae of infections like meningitis come to mind. I will get to Aristotle in a minute but hold on while I clear up my use of terms. The term ‘sick’ is to be understood as applying to the host of diseases that we call degenerative diseases. This list includes adult onset diabetes, high blood pressure, most forms of heart attacks, premature dementia, “old timer’s disease,” and osteoporosis. When I use the phrase ‘backdrop of genetics and environmental hazards’ I mean that there are legitimate predisposing factors that contribute but do not control the expression of most degenerative diseases. Those familiar with my work know that I advocate changing nutritional and exercise patterns and adopting a spiritual discipline as the most effective medicines there are and with which we can beat back the encroachment of aging and degeneration. It is clear from this that I hold that changes in behavior going forward in time can alter the effects of already emergent disease caused by past behavior. Simple enough. 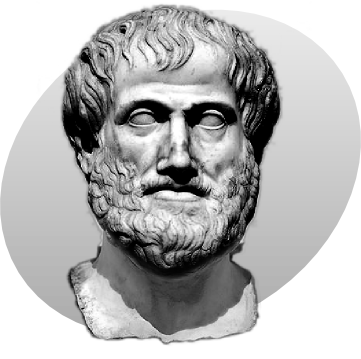 Unfortunately it is not as simple as that and here is where Aristotle becomes our physician. I have a fascinating example to illustrate my general point. I have one member of a pair of identical/maternal twins in my practice. He came to me with out of control adult onset diabetes already with a positive nuclear stress test and he promptly accepted my direction and cured himself of diabetes and completely reversed his nuclear stress test evidence of severe coronary artery disease. ‘Promptly’ was a few years but it was certainly more prompt and efficient than years of medications and a series of stents in his coronary arteries. Well his identical twin has the same diseases and, by narrative from his brother, to the same degree. Yet he has not adopted any of the healthy lifestyle changes that my patient, his twin, has so successfully undertaken. What it takes is what Aristotle has to offer: an understanding of what moves us to change our minds, to have us see ourselves in a new light. It takes drama, it takes tragedy, it takes the narrative power of a well told story, a moving hero or flawed protagonist, it takes seeing our lives not as a completed story waiting for the last chapter to be read but one that is dynamic and fluid with the possible and with chapters yet unwritten by our authorship. Stories have a beginning, a middle and an end; when understood we identify with the protagonist and are moved by his dilemma and long for a just or happy resolution to his story. 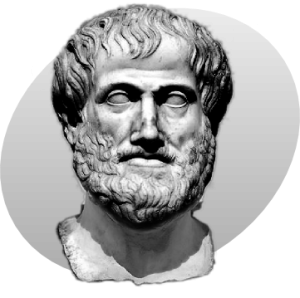 Aristotle is the one who vividly dissects the power of plot, character, narrative and the role of the fates (genetics and the like) and helps us understand the role of drama in helping us live our own lives. Someone with time could write volumes just on the power of Aristotle’s “Poetics and Rhetoric” as medicine to help us escape our poorly written lives that lead us to the misery of chronic, degenerative disease and an early, untimely death. We need to stop living in tawdry soap operas or cheesy novellas and recognize the nobility of our lives and imagine, create an heroic future and noble end. Thus we come to why you need to sit down and write out your biography; it need not be a full book, but long enough that you can see the encroachment of nihilism on your childhood sense of hope, the gifts that were given and wasted like your imagination, the distortion of hoped for ends by the traumas of adolescent longing that led you to live a life you would not have chosen if you could have seen past your insecurities or arrogance. When you see your past as prologue and the power of narrative to change the future, you will begin to have the tools to ensure success at the project of creating a healthy future for yourself and your loved ones.